The England Squash Foundation is a national charity with a vision to change young lives and enhance communities through squash. Together we can help squash to make a difference to young people’s lives from physical health and emotional wellbeing benefits, to supporting social and community cohesion. The Foundation now has one core area of work to fund and support, this being to increase the number of girls playing squash through the already established Squash Girls Can programme. The Foundation is funded entirely by donations, so welcomes financial support from supporters, benefactors and companies to extend the great work we do. You can make a safe and secure donation or create a monthly direct debit through JustGiving, which qualifies for Gift-Aid and also fundraise creatively for us through GivePenny. The England Squash Foundation is charity registered in England with the Charities Commission (Number 1136517) and as a company limited by guarantee (7197634). Our registered office is National Squash Centre, Rowsley Street, Manchester, M11 3FF. 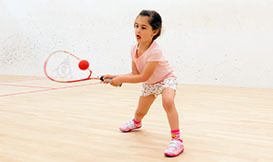 Help us to change young peoples' lives through squash. 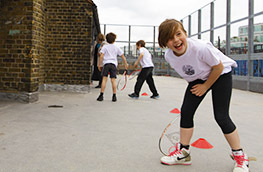 Create your own fundraising event on givepenny.com and help us get more young people on court.